Matt has been slowly but surely converting me to a win0 wine appreciator, and we have visited many of northern Virginia’s local wineries during my “conversion” process. 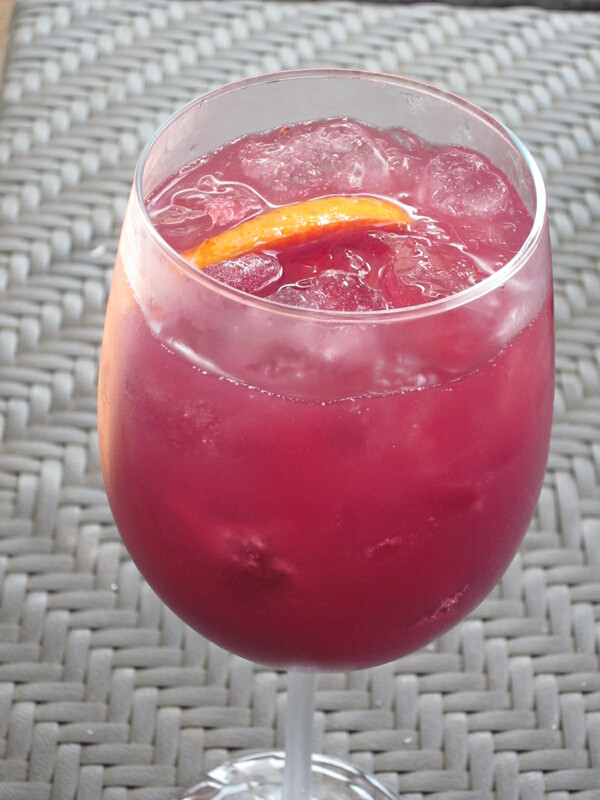 Last summer, at the Winery at La Grange, at the end of their tasting flight, they offered me a taste of their sangria – and it was love! 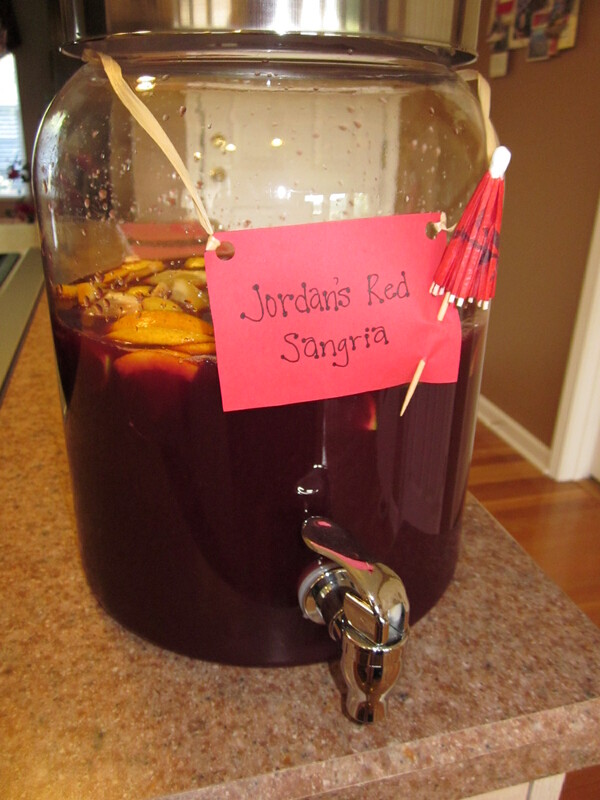 This is assuredly one of the best sangria recipes out there – it is so delicious. 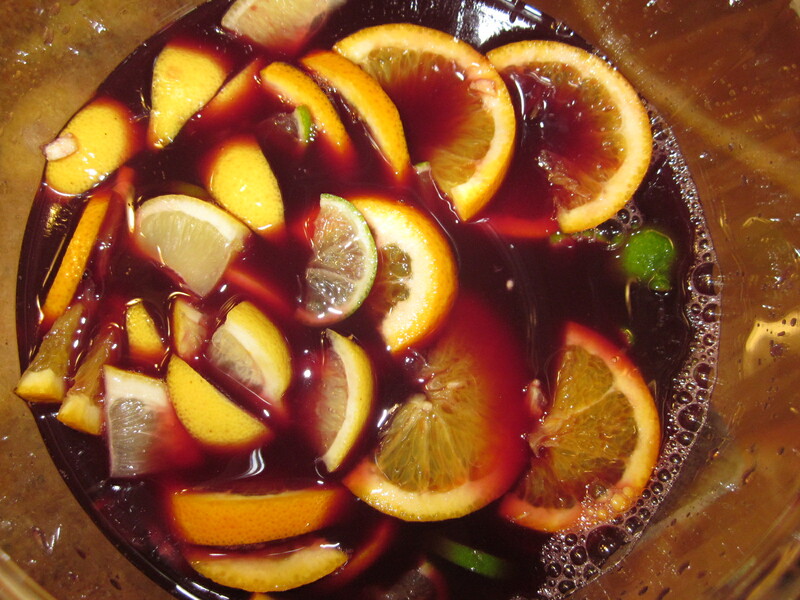 Mix the wine, juices, and syrup in a pitcher, and then fill with ice (or save the ice for the glasses if you don’t want it to get watered down). Top with ginger ale and fruit slices! Delicious! Doesn’t that look refreshing? How much ginger ale. A can or a litter?